Greenwich Academy was founded by members of the Congregational Church in 1827. Until the turn of the twentieth century, the school admitted both girls and boys. Then, in 1900, a Greenwich Academy English teacher founded the Brunswick School for Boys. 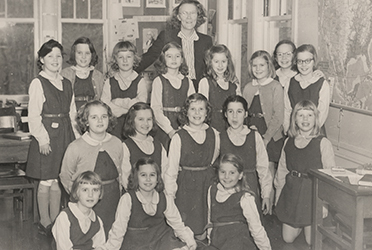 In 1913, the Greenwich Academy Board of Trustees formally approved the decision to accept only girls in the Middle and Upper Schools, and Greenwich Academy was reconceived as a day school for girls. The newly chartered school was led by strong female educators, including Ruth West Campbell, who shaped much of the mission and philosophy of the school. Succeeding heads—Katherine Zierleyn, Alexander A. Uhle and Patsy G. Howard—oversaw impressive growth in the facilities and student body and expanded the academic and extracurricular offerings. 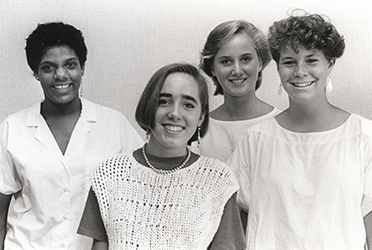 In July 2004, Molly H. King, an educator firmly committed to modeling excellence and sustaining the school’s strong tradition of female leadership, was appointed as head. 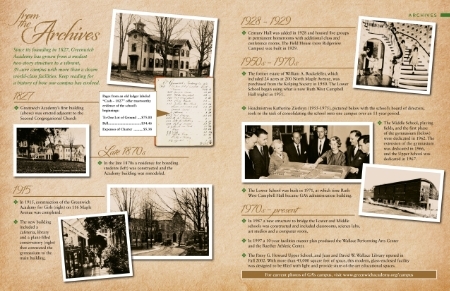 Click below to learn more about GA's History.